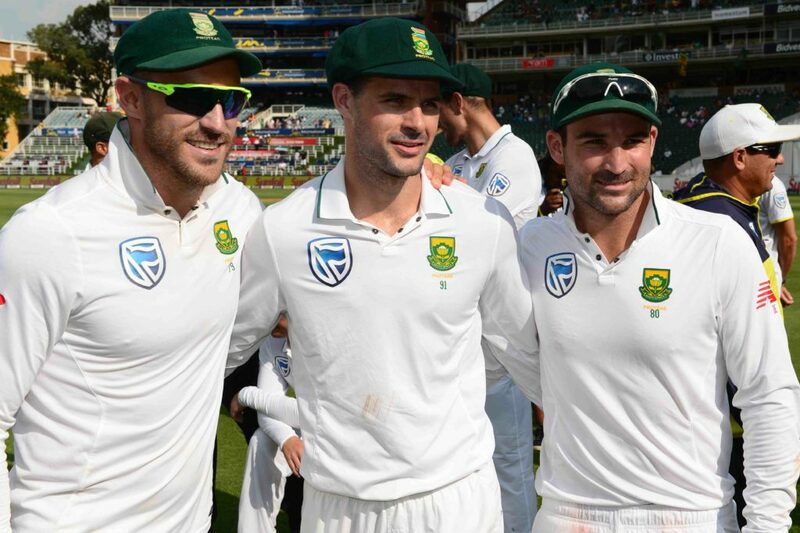 Your essential guide to the first Test between the Proteas and the Black Caps on Wednesday. New Zealand are certainly a better side than their record against the Proteas suggests, but it will be the South Africans to go into this as overwhelming favourites. The Proteas have enjoyed immense success in the 50-over format, but they’re on a warpath in the longest format too. The visitors only need to win this series by one match in order to go up to No 2 in the Test rankings, which is quite some improvement after they slipped as low as No 7 last year. Since their defeat to England at the beginning of last year, they’ve gone on to defeat the Black Caps at home and the Australians Down Under, before whitewashing the Sri Lankans at the turn of the year. They’re now well-placed to continue their proud record against the Kiwis. With a 3-2 ODI series victory to back them up, a familiar and experienced lineup will look to expose the hosts once again in white clothing. New Zealand have never won a Test series against South Africa, and they haven’t in fact won a Test against them since 2004. With four wins from 42 Tests, it’s remarkable reading for the new Zealanders, who know they’re a better side than that. What does count in their favour is their impressive home record, but then again, they come up against one of the strongest touring sides in the world. New Zealand have only lost one home Test series in four years, against Australia last year. South Africa only have one away Test series defeat to their name in the last 10 years, against India in late-2015. Expect a fascinating contest between the pacemen, with both sides boasting an experienced and lethal trio in Tim Southee, Trent Boult and Neil Wagner, and Vernon Philander, Morne Morkel and Kagiso Rabada. Tom Latham: Latham has a very good Test record so far. In 29 Tests, he has six centuries and 12 half-centuries to his name, at an average of 40.37. He’s had a torrid time recently, however, with scores of 4, 7, 0, 0, 2, 0 in his last six ODI outings. It doesn’t matter what format it is, that sort of form is always going to play on your mind. In the two-match Test stint against South Africa last year, he scored 4, 4 and 0. Now he has to come up against a pace attack of Philander, Morkel and Rabada, who boast respective averages of 15.53, 20.94 and 23.20 against the Black Caps. This will be Latham’s biggest challenge yet. Temba Bavuma: Bavuma was averaging 40 going into the Test series against Sri Lanka at the beginning of the year. With a high score of 21 from his last seven innings, the Proteas’ No 6 batsman now averages 30, with scores of 8, 21, 3, 8, 10, 0 and 0. The series against Sri Lanka, against an inexperienced bowling attack, saw five of the top seven score centuries. More is needed from Bavuma, and this is a good opportunity to find some form, before the selectors start turning to the likes of Theunis de Bruyn, or even the in-form Khaya Zondo. The Proteas have all but confirmed their team with the news that Morne Morkel is returning for his first Test in over a year. The rest of the side picks itself, with the likes of Duanne Olivier and Theunis de Bruyn waiting for their opportunity. The only selection dilemma for the Black Caps comes down to which all-rounder they will select out of Colin de Grandhomme and Jamie Neesham. Neesham is a proven batsman at this level, and might just get the nod despite Zimbabwean-born De Grandhomme’s solid efforts with the ball against Bangladesh. – The New Zealand win-loss ratio against South Africa is the joint-lowest in history, alongside West Indies against South Africa. This stat excludes series involving Bangladesh and Zimbabwe. – University Oval is New Zealand’s only home venue where they have remained unbeaten. Their record stands at three wins and four draws. Day five of the Test against South Africa in 2012 was washed out. – Williamson’s average as captain of 55 is the best by a New Zealand skipper, just ahead of Martin Crowe (54.29). – The captain winning the toss has bowled first in New Zealand on 22 consecutive occasions. The last time a captain batted first was Daniel Vettori against Pakistan, at the Basin Reserve, in 2011. – South Africa hold the fourth-highest score at the University Oval, when they scored 435-5 dec in their second innings of the first Test in 2012. Graeme Smith (115), Jacques Kallis (113) and Jacques Rudolph (105 not out) scored centuries in the match, which ended in a draw. – Darren Bravo (218) has the highest score at the ground. Graeme Smith is the highest-scoring South African with his 115. – In Tests between the two sides, Jacques Kallis is the highest scorer with 1 543 runs. Hashim Amla is currently fourth with 1 001 and has the second highest average (71.50). Daryll Cullinan (275 not out) holds the highest score. – Jacques Kallis is joint-second for the most centuries (six) against New Zealand. Amla is currently on four.